You don’t have to be a history buff to fall in love with Ontario’s Champlain Scenic Route. The great French explorer Samuel de Champlain followed it to discover new places, meet fascinating people and enjoy the great outdoors. Now you can too! The Father of New France, Samuel de Champlain, left indelible traces on the northeastern part of the North American continent. He helped to found the French settlement of Port-Royal in what is now Nova Scotia in 1605 and built a fort at Cap Diamant (now Quebec City) in 1608. But Champlain’s legacy goes well beyond these important settlements. In addition to crossing the Atlantic 12 times to help build New France, Champlain was one of the rare explorers who left ample documentation of his travels. He drew detailed maps that were subsequently used by many other explorers and cartographers. He wrote accounts of his voyages and ethnographic descriptions of the Indigenous inhabitants of the lands he visited. He recorded the observations of Indigenous people whose ancestors had been plying North America’s inland waters for millennia. 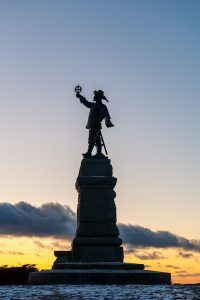 He explored the coastlines of Atlantic Canada and New England and sailed up the Richelieu River from the St Lawrence to what is now Lake Champlain. In 1615, Champlain began his last great exploration westward, combined with a military expedition into what is now New York State. It is this 10-month voyage, and the entire legacy of this great man, that is now celebrated along Ontario’s Champlain Scenic Route. You don’t have to be a history buff to fall in love with Ontario’s Champlain Scenic Route. More than 400 years ago, Champlain travelled this route because he wanted to see unspoiled wilderness, meet fascinating people, and explore the great outdoors. In 2004, the Champlain Circuit was founded to give tourists the chance to share Champlain’s experiences. This circuit offered a high-quality tourism experience that received an enthusiastic response from dozens of Ontario tourism organizations. In 2015, at the initiative of Ontario’s Ministries of Tourism and Francophone Affairs and the Société Économique de l’Ontario (SÉO), the Champlain Circuit was relaunched as Ontario’s Champlain Scenic Route, with passionate support both from Champlain historians and from Ontario’s tourism industry. Today’s Champlain Scenic Route lets you venture off the beaten path and follow Champlain’s footsteps to superb destinations. If you’re leaving from Montreal, your journey begins as you follow the Ottawa River through the rural United Counties of Prescott and Russell, with their strong Francophone presence. Next, visit Ottawa, Canada’s national capital, with its impressive array of museums and cultural offerings. Then head north for adventure! Paddle canoes, kayaks or rafts down untamed rivers, or hike a wilderness trail. In southern Georgian Bay, discover the history of the Francophones who followed Champlain and settled this area and the many places that evoke Champlain’s legacy—reconstructed villages, historic sites, and even hiking paths and adventure trails that lead from underground caves to the treetops. Then head east and enjoy the good life in a land of lakes where you can stay along the water, go for a hike, enjoy tasting wine and other local products and meet Franco-Ontarians who are proud to welcome you to the place they call home. You can easily travel the entire 1400-km loop of the Champlain Scenic Route in a single trip. Or instead, you can do it bit by bit to fully savour everything it has to offer—its breathtaking landscapes, its many cultural and heritage attractions and, everywhere, its warm hospitality. If you want to cover the entire loop, you’ll need at least 10 days to do it right. (Amazingly enough, Champlain covered the whole journey himself by canoe in just over three weeks!) Many of the splendid landscapes that await you remain nearly unchanged from when Champlain first laid eyes on them over 400 years ago. 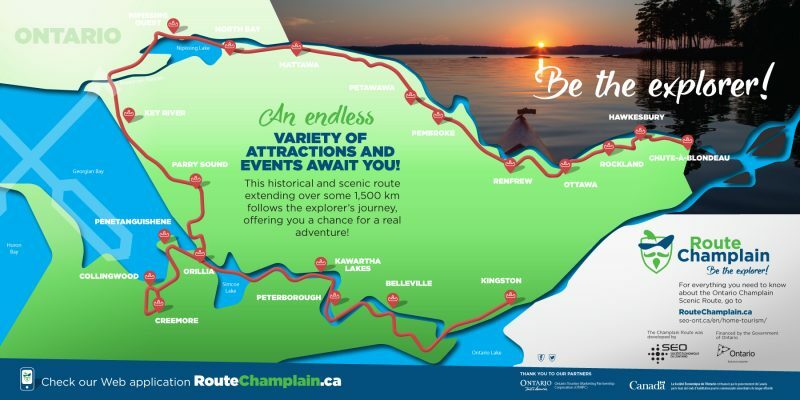 But unlike Champlain, you won’t be travelling by canoe, so we suggest you take the time to enjoy all the adventures, walk all the trails, visit all the museums and taste all the delicacies that you’ll find along Ontario’s Champlain Scenic Route. Or if you’d rather enjoy the route one bit at a time, one trip we recommend would be to follow the Ottawa River valley to northern Ontario. Between Mattawa and French River, you’ll discover Francophone villages, heritage rivers, the magnificent waterfront in North Bay and even the birthplace of the Dionne quintuplets. Another option is Georgian Bay, a well known destination where signs of Champlain’s voyage and the centuries-old Francophone presence are everywhere. There are so many historic plaques that you can even make a game out of hunting for them. This region offers impressive opportunities to combine a taste of history with the great outdoors, including the reconstructed villages at Saint Marie Among the Hurons and the Huronia Museum, the Martyrs’ Shrine, the Scenic Caves, and former portages that are now hiking trails. There are also two statues of Champlain. One, unveiled in 2015, stands on the shores of Georgian Bay in Penetanguishene. The other, from 1925, was erected on Lake Couchiching in Orillia (as of this writing, the statue was away being restored). While you’re in the area, take a detour to Parry Sound to admire and explore Georgian Bay and its coastline. The southern half of the Champlain Scenic Route includes rural areas much prized by Torontonians who want to get away from it all–the Kawartha Lakes region and Northumberland and Prince Edward counties (both of which are easily accessible from Highway 401). 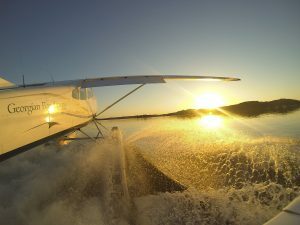 These areas offer a wealth of recreational opportunities on the water, along with fine dining. Many well regarded chefs have opened restaurants in Peterborough, where you can also visit the Trent Canal lift lock and the Canadian Canoe Museum. For another shorter trip, visit the majority-Francophone United Counties of Prescott and Russell and neighbouring Ottawa. With their museums, waterpark, cheese factory, microbreweries, historic sites, and cruises, they offer a great getaway for a weekend, or even an entire week! As you can see, Ontario’s Champlain Scenic Route offers a wide variety of experiences as you follow a long loop that really makes you feel like a modern-day explorer. To start planning your trip, visit RouteChamplain.ca. 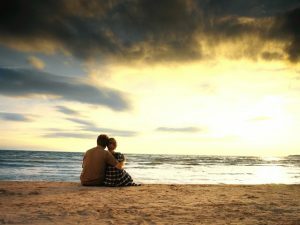 You can also find information on the official website of Destination Ontario.